A few folks after reading the previous post (This is the third blog marathon I am doing) wrote to me asking "Where and how and when do you find the time?" For those who really want to know, I have written a detailed post about it. One blog which fascinates me, touches me and which I read quite regularly, but which I have never mentioned before is Agnes's . Apart from some breathtaking photographs she posts, I love the honesty, openness and sincerity with which she writes too. If you read her latest posts, no one will be able to say what a huge personal tragedy she is coping with, at the moment. The support she receives on the blog is tremendous. To me, that is what blogging is all about. That is the reason I will never stop blogging too. The fact is, most bloggers who have written consistently (by consistently I mean at least 5 posts a month) are writers. They write simply because they must. It is really hard to explain this need to someone who does not feel an urge to write. Personally, I write a lot, and not just online. I have written by hand (and drawn pictures too) ever since I can remember. I still have some 'books' which I wrote by hand when I was about 7 or 8. I have a handwritten journal, which I have had for many years, in which I have written whenever I felt a need to. I use an old fashioned fountain pen too.This journal of mine is also full of interesting clippings from magazines/newspapers. So it is a journal plus a scrapbook. I also have a private journal online. Then I have several journals, all written by hand. Two contain my poems which are all painstakingly hand written. Others contain many different things which I find fascinating. I also have two ongoing journals (which are work-in-progress), one for my son and one for my daughter. I would be gifting it to them when they are adults. I had started this journal when I was expecting them. The journal is all about them--what they did and what they are interested in, at the moment.I capture all the memories. It is amazing to travel back the memory lane and read about what my son did when he was two. (He is 13 now).Same for my daughter. I don't write in these books daily--sometimes even six months would have passed before I made an entry--but each entry is elaborate and full of interesting details. I have also stuck in their journals stuff like the drawings which they made ( if they were particularly good). The people closest to my children and who have touched their lives in some ways, have also been invited to write in these two journals and the pages which my dad wrote to them (I lost my dad in Sept 2006) is something which is truly priceless. Some of my closest friends have received handwritten books which I have made. That (and my paintings) is truly the best gift I can give somebody.I have used some beautiful handmade paper journals to create these books similar to the ones shown below. For me, writing is a passion. Writing is an obsession. Writing is therapeutic. Writing is life. I write because I will explode if I don't. I can so relate to this post! 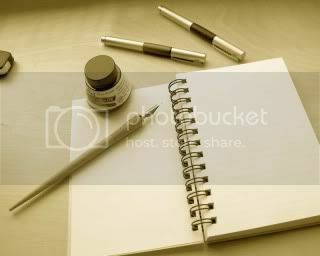 Writing is a need, an urge that I simply can’t explain!It gives me an indescribable high ! 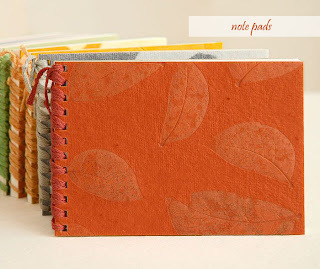 Such a lovely idea – That journal for your kids ! I am off to see the match too. I hope we win ! Writing truly helps you to vent your feelings...which sometimes you can't share with anyone!! Hmmmm the match is becoming interesting....lets hope we bring the cup!!!!!!!!!!!!! Also, I think Stephen King said it all: "I write to find out what I think." I am new follower of your blog. It is wonderful piece of art. I would like to write like you, but i am not that good at writing and in english. But i love to write.. This post is sure encouraging me a lot. when I find that extra time, I will read your old posts. Your view on Time management sounds interesting and resemebles mine. Though with a two year old , a routine schedule is a needed for me to keep the calmness in our life. Charu: Please do resend. I get more than hundred emails in a day.Very difficult to track down one particular email unless i know the email id or the subject. Whoaml: Welcome to my blog! Keep writing, keep reading. Your English seems just fine to me! Agnes: Welcome to my virtual space. You do deserve all the praise.The link you gave made wonderful reading.Thank you! Ruch:Same pinch---and we won!! What a match! @Agnes: I love u too but then u already know tht;-D!!!! Buh. I average 3-4 posts per month. But I do write in a journal regularly so I guess that counts! I LOVE those notebooks! And the hand written books for your children is such a beautiful thing! You teach me so much through your posts. Absolutely LOVED the quotes in the end. Copy-pasting them all! Easy reading is damn hard writing. ~Nathaniel Hawthorne - so true, nah? And the journals for Atul and Purvi they are going to treasure it for lifetime.It's going to be their best gift. Reflections: You picked out the exact post from her blog that I like! Yes indeed that is said so well. Loved your earlier post on time managment too. Somehow, couldnt open Agnespages link. will try again later.